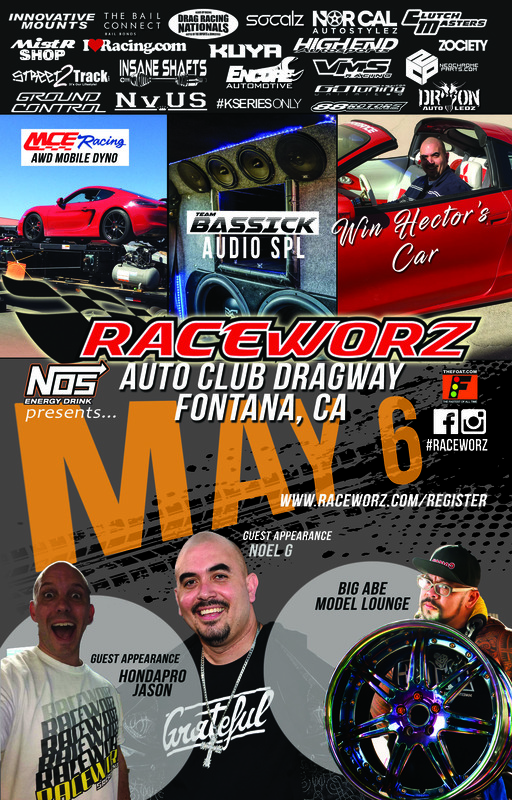 We are happy to announce Raceworz Fontana Car Show and Drag Race event! 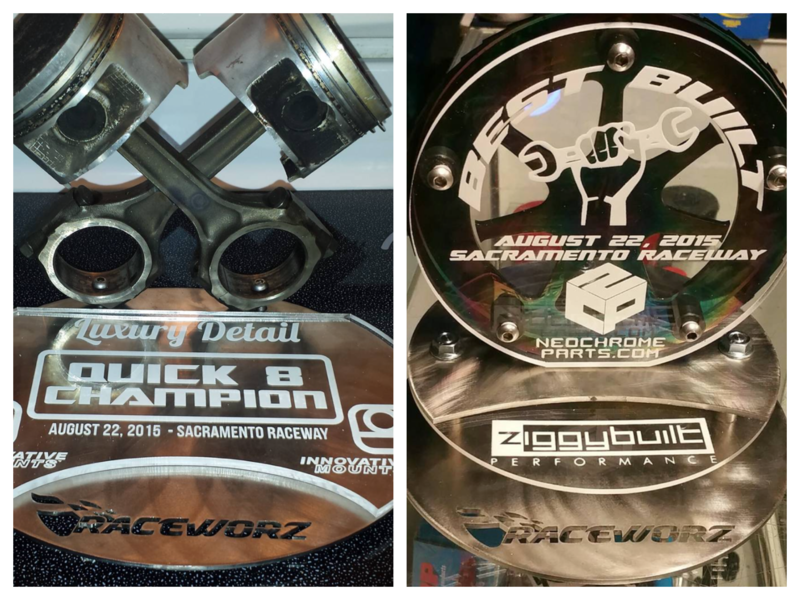 We have thrown many successful events at Sacramento Raceway Drag Strip in Nor-Cal, and we have expanded to Southern California to share the experience with the LA area and beyond! 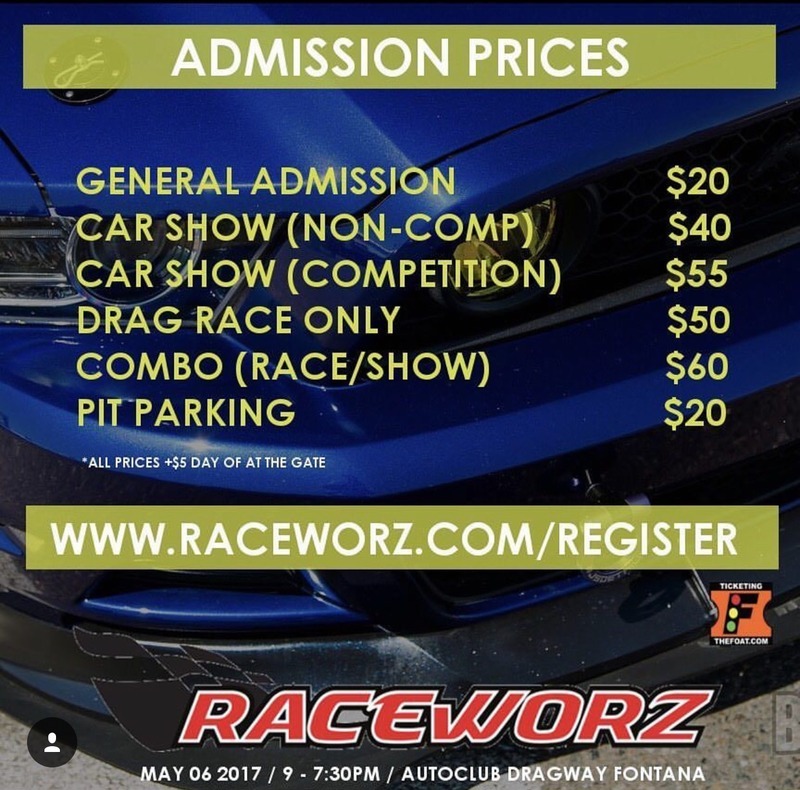 being held at Auto Club Speedway in Fontana, CA!! We will have similar activities going on throughout the day this year, similar to our previous events! We are proud to announce the addition of the KUYA Model Lounge, hosted by KUYA Protection! 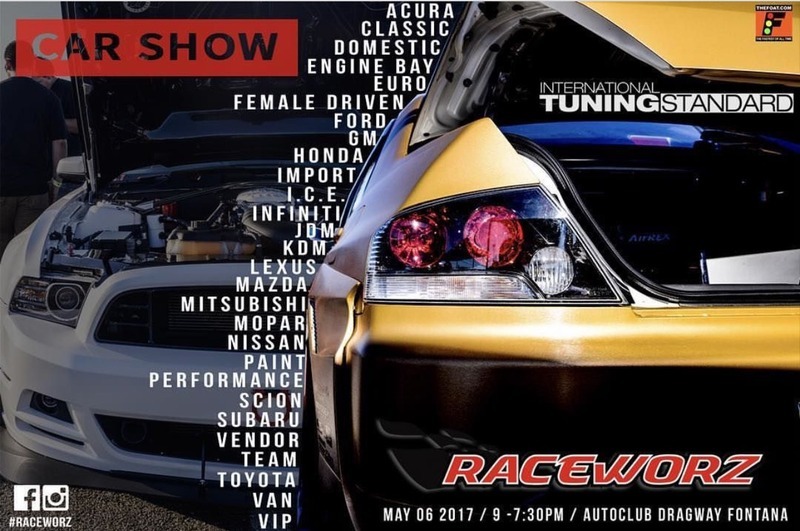 Big Abe and KUYA Kreationz will be coming to Auto Club Speedway on May 6th, and will be hosting some of the top Import models in the industry! 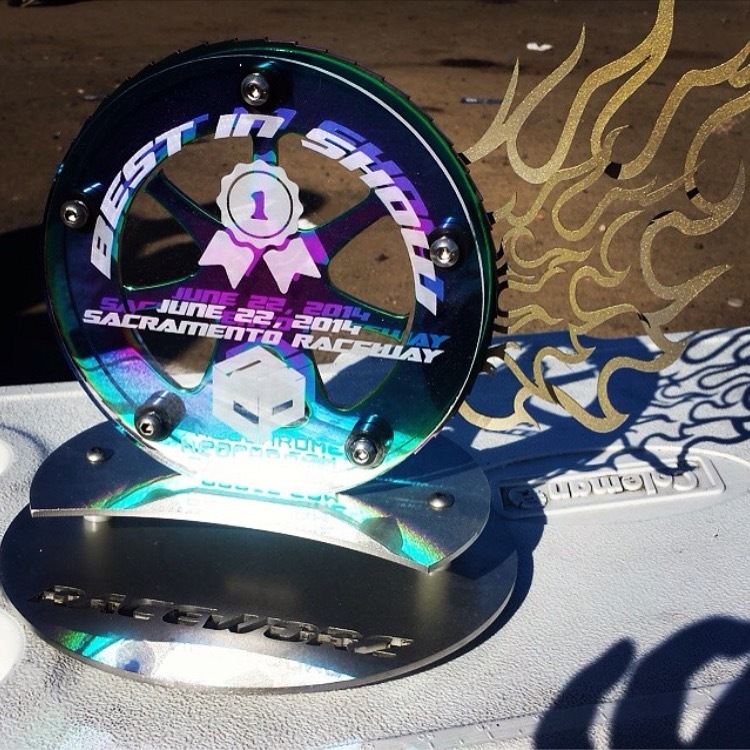 --Those who register for the Car Show Competition will be officially judged by the International Tuning Standard Judging Team, from LA. --All Prices will be $5 more on the day of! 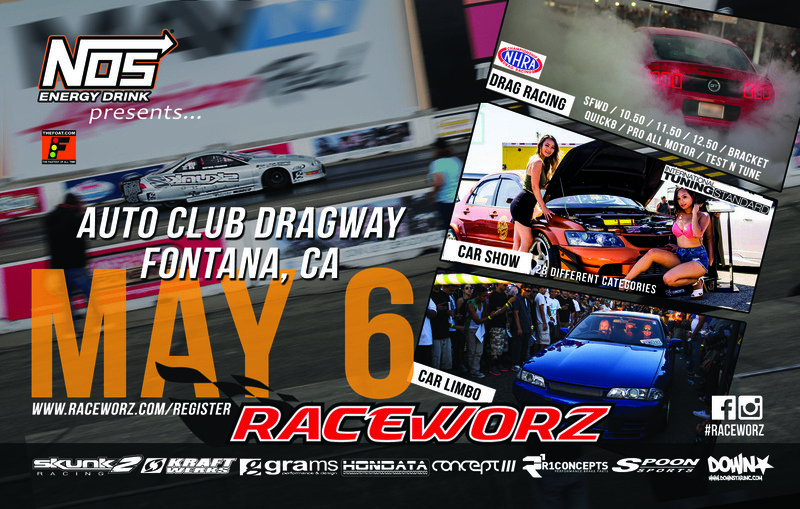 Anyone Going to the IDRC Drag Racing Finals and Car Show at Fontana this weekend? 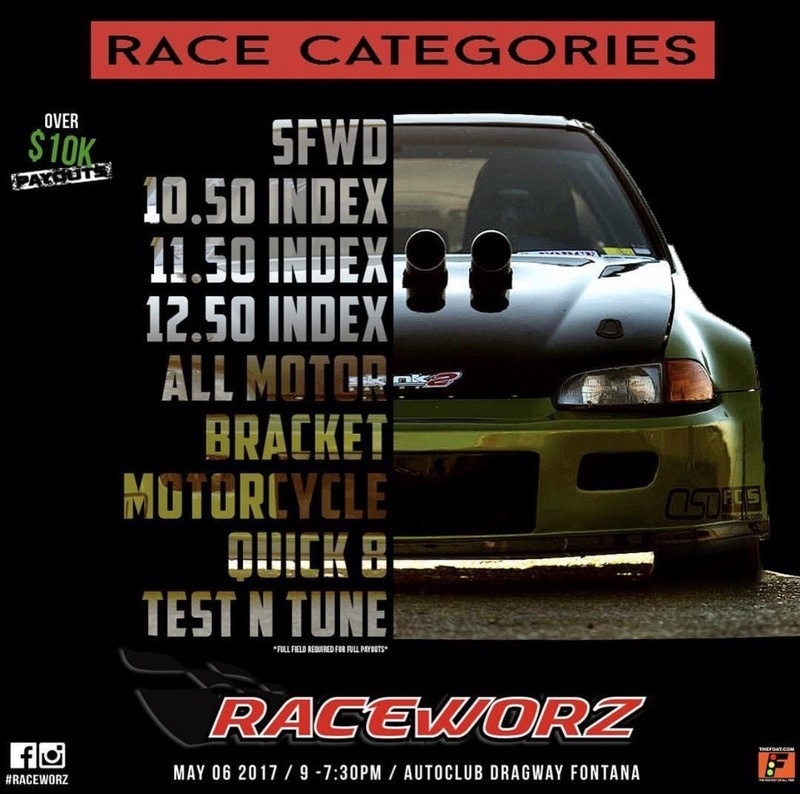 RaceWorz Car Show and Drag Race @ Sacramento Raceway June 22nd!